While significant majorities of actual Native Americans polled have responded they don't take offense at the Washington Redskins' nickname, the question has remained an issue for some who consider the name pejorative. 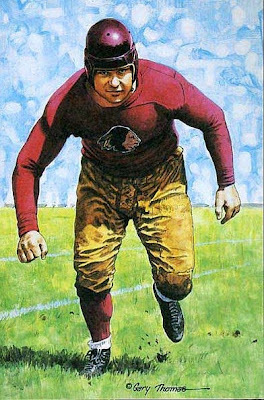 The Week Magazine collected 19 more-PC names that have been proposed for the team, including the Washington Jepziwok (Chippewa for "great athletes") and the Washington Matwesaso ("courageous" in the native dialect of the Nanticokes, dominant tribe of the Potomac region). 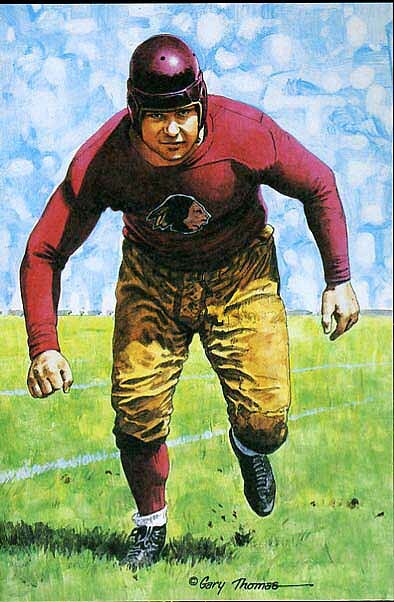 Above: Turk Edwards by Goal Line Art via Redskins Football Card Museum.